As reported by industry regulator Ofcom last month, BT has been taking positive action since March last year, creating the separate legal entity Openreach Limited, with its own independent board and strategy which serves all of its customers in the communications market equally. There has also been progress in other areas, such as removing ‘BT’ from branding, putting in place compliance procedures, and carrying out staff training on the changes. 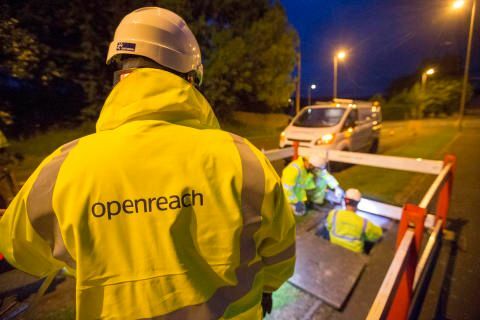 The consultation with unions and employees is due to finish by the end of September, with a planned transfer to Openreach Limited on 1 October 2018. This is the final phase in the creation of a more independent, legally separate business, focused on investing to ensure Britain remains at the forefront of digital communications. “We are absolutely committed to giving Openreach greater strategic independence and ensuring it delivers the connectivity and service that homes and businesses across Britain need. “We welcome Ofcom’s confirmation in June that we’re making good progress towards legal separation, and are now delivering the final stage of what was agreed under the Digital Communications Review. “Openreach now has its own Board, greater strategic and operational independence, and a separate brand.From October it will also have its own, independent workforce.